Him: um… well not peas, that’s for sure. It’s endearing, really. He’s the most trustworthy guy you’d ever meet because he doesn’t know how to be any other way. So now that this post is going up, the cat’s out of the bag and I have a teeny confession to make… Jack, I lied. Remember this pesto we ate for dinner (twice) last week? Totally all peas. But you liked it and never knew…. Pulse all pesto ingredients together in a food processor. Taste and adjust. Serve on grilled crusty bread drizzled with olive oil and rubbed with garlic. Mmm this looks so good. 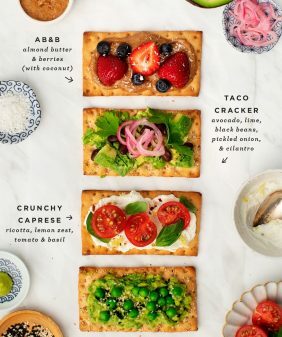 I love just about anything on crusty bread, and this seems nice and light for summer. I know I would love this ( no lie! )as I love pea and pesto soup! Haha! I lie to my family all them time about what they are eating. In this case what they do not no will not hurt them! 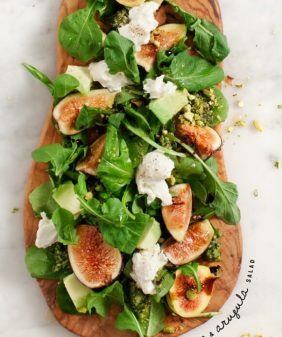 This looks so delicious and summery! Can’t wait to try it. Yum!!! 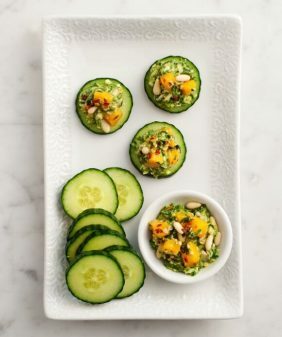 What a great recipe for summer!!! This looks delicious! 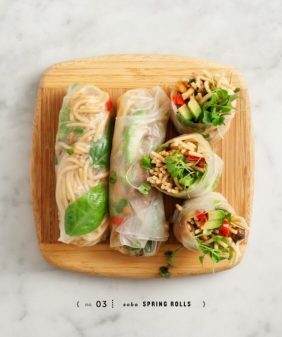 So fresh, light and health:) I also love the styling of your blog! Ha, I think I’ve had similar conversations with my boyfriend. Love the vibrant green of this. So perfect for summer! Love! Hahahah! I do this to my husband allll the time. 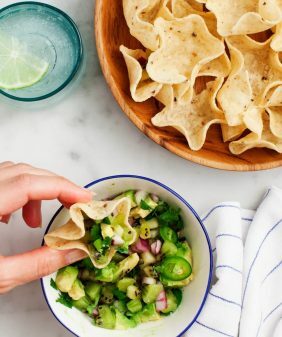 Surprise, you hate olives and I just finely chopped them and added them in… You had no idea and you loved it! This pesto is so bright and beautiful. I love peas! 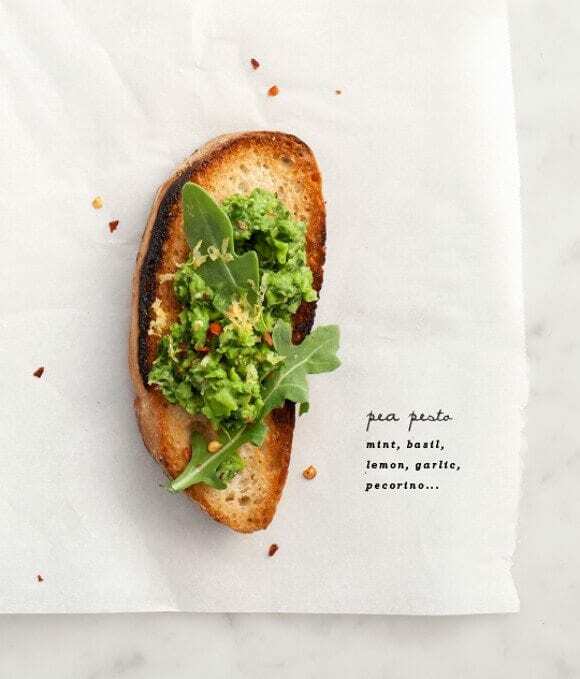 And I love pea pesto! Your husband sounds like a darn sweetheart. My man is all to easy with the “shades of truth”. ha, thanks :). Best comment ever! 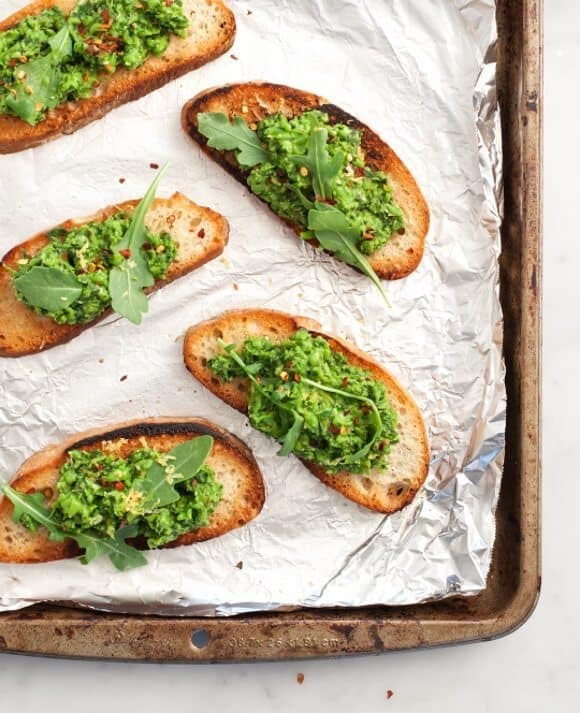 These toasts look amazing, the green pings out making them look extremely inviting. Lovely photographs. That is incredibly sweet and endearing. Peas + love. This looks lovely! Can you tell me how long this would last in the fridge once made? 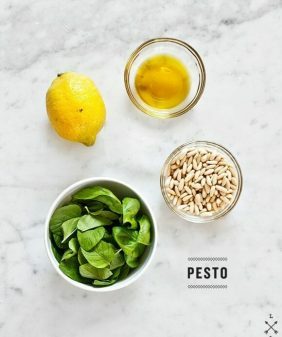 I keep my pesto around 4 days in the fridge – hope that helps!